기사요약: 이슬람 수니파 원리주의 무장단체 이슬람국가(IS)가 일본인 인질 고토 겐지를 참수했다고 주장하는 영상을 31일 인터넷에 공개했다. 앞서 또 다른 일본인 인질 유카와 하루나를 살해한 지 약 1주일 만이다. 일본 아베 총리는 “테러리스트들을 결코 용서할 수 없으며 그 죄를 갚도록 국제사회와 연대할 것이다. 일본이 테러에 굴복하는 일은 결코 없을 것”이라고 밝혔다. The Islamic State group claimed in a video that it has beheaded a second Japanese hostage, drawing international condemnation and outrage from a visibly upset Prime Minister Shinzo Abe, who denounced it as a “heinous and despicable” act. The apparent killing of 47-year-old Kenji Goto ― the second beheading of a Japanese hostage in a week ― was announced in a video released online that included no mention of a Jordanian pilot also being held by IS, whom the jihadist group has threatened to kill. 기사요약: 이명박 전 대통령의 회고록이 ‘자화자찬’과 책임 떠넘기기로 일관했다는 비판에 휩싸였다. 뿐만 아니라 3일 중국 외교당국이 번역 작업에 들어간 것으로 전해지면서 외교적 문제로도 비화될 조짐이 보인다. Former President Lee Myung-bak is taking flak from the ruling and opposition parties, as well as the incumbent government, for revealing sensitive diplomatic anecdotes in a soon-to-be-published memoir. Critics say that it is too early for a former president ― who left office just two years ago ― to publish a memoir, and that disclosing details of behind-the-scenes talks with top foreign officials could affect the current government’s foreign relations. 기사요약: 한국 축구 대표팀은 31일 호주 시드니에서 열린 개최국 호주와의 2015 아시안컵 결승전에서 연장전 끝에 시합 종료 직전 호주에게 통한의 결승골을 내주고 1-2로 석패했다. 아시안컵 축구대회에서 ‘최다 준 우승국(4회)’이란 달갑지 않은 타이틀을 거머쥐었지만, 이번 시합을 통해 한국 축구의 밝은 미래를 보여줬다는 평가를 받고 있다. From a virtual unknown on offense to unsung heroes on defense, there’s plenty of credit to go around for South Korea, even after its extra-time loss to Australia in the final at the AFC Asian Cup. Forward Lee Jeong-hyeop scripted an improbable Cinderella story. With no prior international experience, the 23-year-old came out of nowhere to score two key goals at the tournament. Coach Uli Stielike famously unearthed Lee after watching him come off the bench for the military club, Sangju Sangmu, in five matches, saying he still liked Lee’s energy in a reserve role. 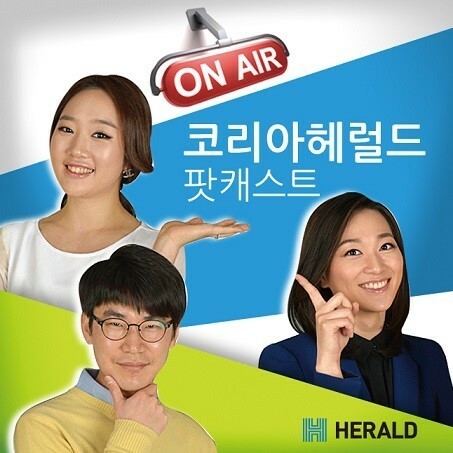 *script a Cinderella story: 신데렐라 같은 믿기지 않는 이야기, 기적을 일궈내다. Lee was easily the most unknown commodity for South Korea. At the other end of the spectrum was Son Heung-min, the pacy winger for and perhaps the most gifted South Korean player in the tournament.